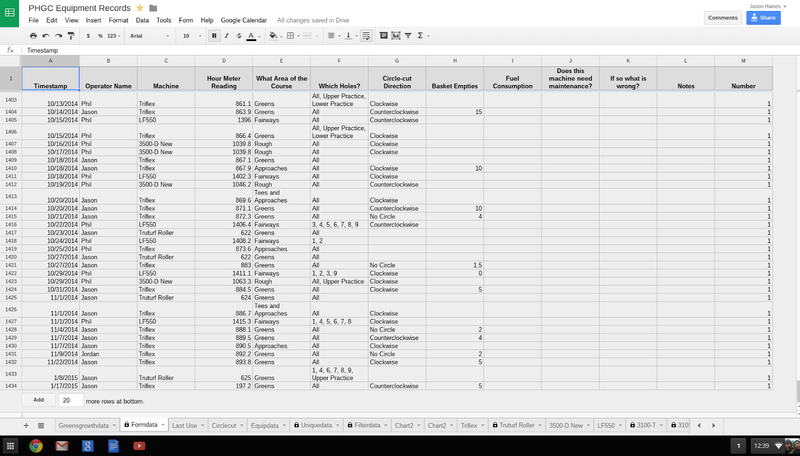 A few years ago I wrote a post about using google forms to keep data collection consistent. 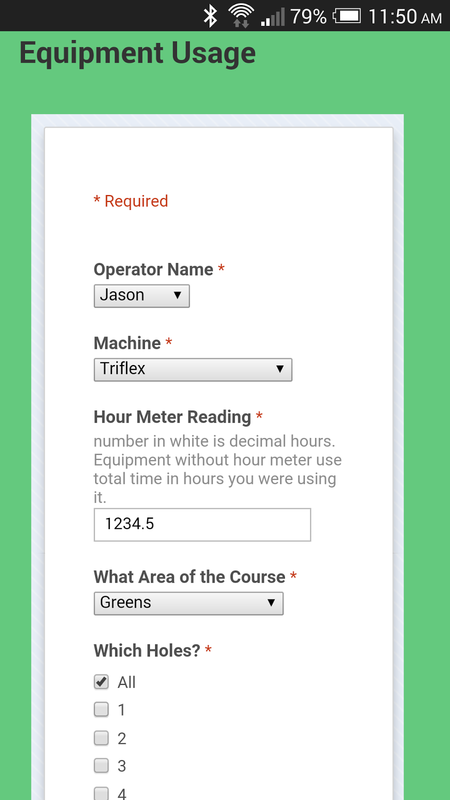 I was recently talking about data input and some of the issues associated with many different staff taking part in said data collection and it reminded me just how useful forms can be for a golf course operation. The key to any successful operation is monitoring what you are doing and analyzing this data to make intelligent changes. If this isn't done, all you can do is guess. Google forms allow you to easily access the portal to add data directly into a spreadsheet in a user friendly way. You don't have to find the specific cells where data needs to go and you can keep the collected data confidential. Forms can be embedded on any website or shared via email to anyone you want, no matter what device or operating system they use. In order to easily analyze your collected data it needs to be consistent. Not just in the frequency of collection instances, but also in the spelling and formatting of the data collected. 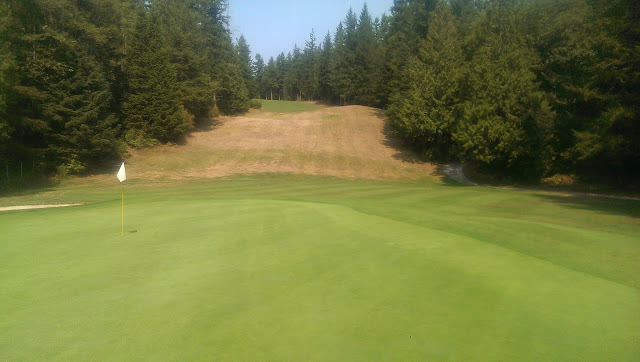 To a computer, Green is different than greens and cut is different than mow. This is where forms really shine. They allow you to select the appropriate responses and put them in a multiple choice or drop down menu format. This makes it impossible for the people collecting the data to input it in a way that is inconsistent from one another. Using forms along with a few of the tips I discussed in a recent post will help your data collection that much more efficient and useful to your maintenance operation in the future. Did I mention it's free? Raw data collected by my staff is consistent and ready to be filtered. It is also not accessible to my staff.